My TTC journey started in 2008 when I married my wonderful DH. I had endometriosis and didn’t really feel like putting off having a family. I knew that it might take awhile but I had no idea back then that I would end up where I am today. After about a year of trying I was positively certain that there was something majorly wrong and that we had to get it addressed ASAP. Unfortunately, the gynecologist I saw didn’t feel that it was so urgent and told me that I was young and I had plenty of time. So I changed to new gynecologist who had exactly the same outlook on things as the first dr. It was with him though that I was finally able to get my laparoscopy done in 2010. I was diagnosed with stage 2 endometriosis. All my bloodwork, ultrasound, HSGs ect came back lovely. It was then that we found that my DH had slightly low sperm count. We thought “no big deal” just assuming that it might take us a little bit longer. Eventually we moved on to IUIs with Clomid, after which my DH was diagnosed with varicoceles and had no improvement after surgery. In fact, he was down to hardly anything. By this point we had been married 4 years and IVF with ICSI had become our only medical option. Naively we thought that due to our age and the fact that we had 4 good quality embryos transferred on day 3 that it would be time finally for that positive pregnancy test. It was a very humbling and shocking experience when not even 1 of our babies stuck around until beta. I didn’t think that I would ever be able to do IVF again because of the emotional costs, not to mention the physical effects and the pocketbook pain But here we are just 2 short months later on our second IVF/ICSI. We switched to a new RE who ran additional tests and found that I tested positive for MTHFR C677T Homogygous. I am being treated with Lovenox and baby aspirin post embryo transfer. When I very first started dating my now DH, he told me that he wanted a little girl someday named Journey. Later on, we added to that list a little boy that we would love to have named Truett Matthew. So hopefully in 2013, God will make our dreams come true!!! Update: On October 4th 2013 at 3:07pm, our dream did come true. We welcomed Truett Matthew into our lives after a 5+ year journey. Our second IVF was successful and we found out I was pregnant on February 12th 2013 with a beta of 250!! Complete details of the IVF cycle that brought us Truett are on my page . I hope that our journey will encourage and inspire anyone reading this. If I can help in any way or answer any questions, please let me know. We may have finally achieved pregnancy and given birth to our baby boy, but the scars of infertility are still very fresh and very real. I will never forget how it feels to want a baby more that anything in the world. I am still an infertile. In body and in mind. I will never be able to think or talk about pregnancy and babies and family the way a person who never experienced it would be able to. I thank God though because without him, our dream would never have come true. Update: We are expecting again and this time it is a completely natural surprise!! I found out I was pregnant on 7/21/14 when Truett was 9.5 months old. “…with God all things are possible.” Matthew 19:26. With a last known sperm count of only 1 mil/ml, 30% motility and morphology ranging in the 0-4% range for years prior, we obviously had very little hope of conceiving on our own. So you can imagine our shock and surprise when I got that positive test after realizing I was 4 days late. Our second miracle baby boy is due March 28th, 2015. To God be the glory for both of our very special baby boys. Update: Levi Shay was born at 5:05pm, March 20th, 2015 via induced vbac. He was a healthy 7lbs 14oz. We have been so blessed. Praise the Lord! As a side note I should mention that due to the MTHFR mutation, I was instructed to stay on baby aspirin for the rest of my life. I was on baby aspirin when I conceived both Tru and Levi and started Lovenox injections after embryo transfer with Tru and the same day I got my BFP at 17dpo with Levi. My first doctor said the same thing to me. He was also convinced that it was always my weight that was causing the problems. Glad you finally changed gynos and are expriencing a pregnancy now! Thinking of you so happy to see your dreams are coming true! Hope 2013 is the year for you!! No, my bad. I should update this. Thank you for sharing your experiences. 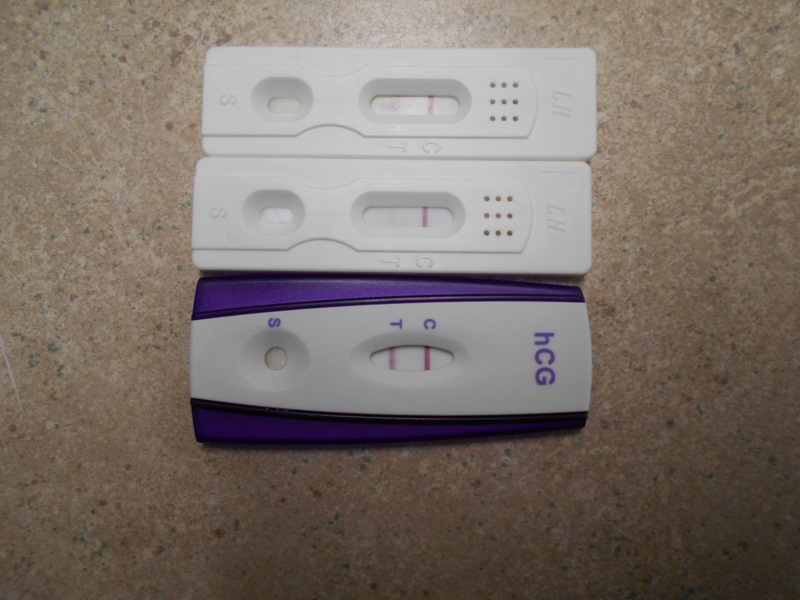 So happy you were able to conceive…and that you are going to be blessed with another little miracle in March!! What a beautiful story! Thank God for your two miracle babies. It sounds like your MTHFR did not hinder your ability to conceive #2 naturally, nor did it cause any problems, though you started Lovenox right away. That is encouraging to read. I too have MTHFR, and though I highly doubt I’ll ever conceive naturally, I have wondered if the MTHFR would prevent it anyway (along with my poor egg quality). I read that you are taking baby aspirin for the rest of your life? I wonder if I ought to do that for my health and not just pregnancies … Hmmm …. xoxo!!! I should add, I was on aspirin when I got pregnant with baby #2. Thank you for sharing your story! It’s beautiful, real, and triumphant. My best friend is currently undergoing the IVF procedures this week, and although infertility is such a crummy hand to be dealt, it has been incredible to see how God has wrought miracles in her life–and I know will continue to do so, despite the heartache. I’m so glad you enjoyed reading it! I hope everything turns out beautifully for your friend. I need to update my ttc page because I am actually expecting my 3rd child which is my second natural conception. 🙂 God is good! !